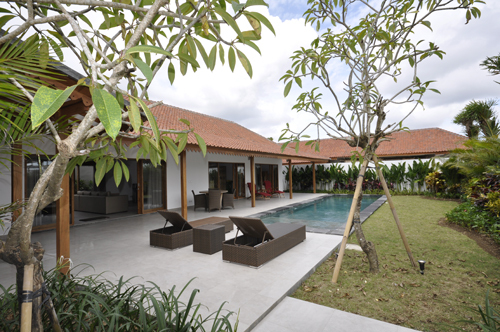 This beautiful 3 bedrooms villa is located in Canggu (Padang Tawang), only 5 km from the famous surf break of Echo Beach. Famous places like Deus, Monsieur Spoon and Old man’s restaurant are also close by. Canggu has become one of the best places to live, close to a lot of nice restaurants, shops and International schools. The centre of Seminyak with its shops, busy nightlife and famous restaurants is only 15 minutes drive. Ubud, the cultural centre of Bali is accessible in less than 1 hour.